I was fortunate to attend a performance of the musical adaptation of “Jane Austen’s Persuasion: A Musical Drama” by Barbara Landis on July 6, 2018 as part of the Port Alberni Jane Austen Festival. It was a brilliant performance highlighted by 49 musical pieces from music of Jane Austen’s time to Irish folk tunes to classic opera, much of which is enhanced by lyrics and arrangements by Landis, who also took the lead roles in the play. 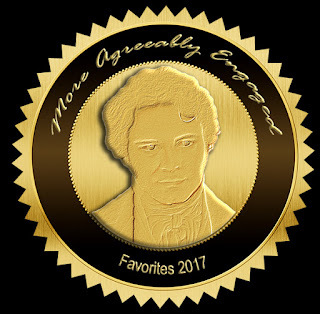 Landis is certainly a flexible force behind this production, taking on the role of playwright in this variation of Jane Austen’s shortest novel as a tribute to the 200th anniversary of its publication. In discussion with some of the cast later on, I found out that she also takes a lead financial role and is a sort of mother to the very large cast and team involved in the performance, which has toured the world since 2013. To top off her ties to this situation is the fact that she’s a distant relative of Jane Austen. I’m sure that was as much of an impetus to do this show as any other reason. Persuasion is clearly a strong romance, with the obligatory angst keeping the protagonists apart until the key moment when they both understand that the other’s love has withstood all the trials it has been forced to bear. Finally, the couple comes together, eliciting tears from the romantics in the audience. A notable performance of the evening came from the perfectly austere, then flirtatious, then romantic–with perfect timing on those characteristics–Jeff Diebold as Captain Wentworth, who was wonderfully tall and handsome in his captain’s uniform. Comedic turns by several of the cast members were additional highlights, most notably by John B. Boss as a flamboyant Sir Walter Elliott, and Gretchen Mink Hansen, who could have walked off a Rowlandson cartoon, thanks to the costuming and her body language! I was especially impressed by the acting and singing of the dual roles of Anne Elliott and Jane Austen by Barbara Landis. 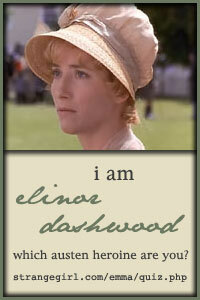 Though Landis is significantly older than Anne is in Austen’s canon, the gifted and well-experienced soprano pulls off the multi-faceted role and character changes well. Her “bloom” comes back when she is in love, and she is the glue that holds the production together. Nearly all the cast members were strong in voice and excellent actors. The odd time there was a mismatch with a stronger and weaker voice, however, at other times the duet was magical. With so many tunes to choose from, it’s impossible to pick out highlights. Landis did a marvelous job of timing and matching the music to create a seamless production with so many actors and songs. 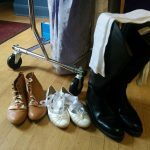 Many in the audience were particularly enthralled by the two professional Irish dancers, but for me, the cameos that were most enjoyable were the choral music and classical opera, but that’s purely because I love those types of music. This brings up an interesting point about the production: it’s got something for everyone, yet no one style was so overdone that those who weren’t big fans could be tired of it. 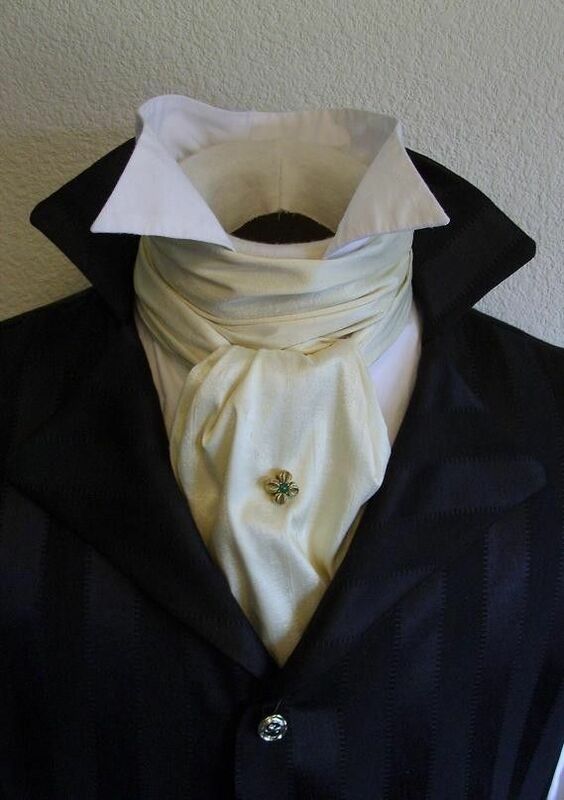 Costuming was a delight to the eyes despite some Victorian-looking hair styles, black neck ties instead of white Regency cravats, and a dearth of top hats. The lovely gowns and handsome tail coats were evident again the following day when the cast joined the festival-goers to try to break the Guinness World Record for people in Regency costume in one location–and came up only 60 short. I loved some of the details of the ladies’ gowns and how the dresses changed for each scene and the level of circumstance of each character. 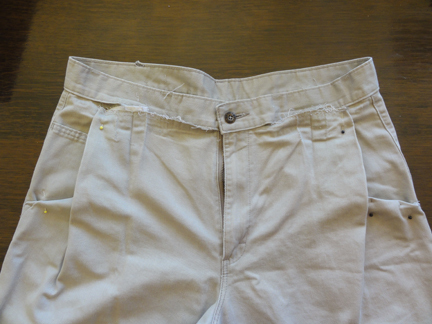 Similar details were given to the men, from the naval uniforms to the elaborate lace cuffs of Sir Walter. Chamber Opera Tours can be proud of this long-standing production, which heads off to the Jane Austen Festival in Bath in the autumn. Barbara Landis’s adaptation of Persuasion was perfect Austen, wonderful Regency, and a melange of music proven to please all preferences. Brava! 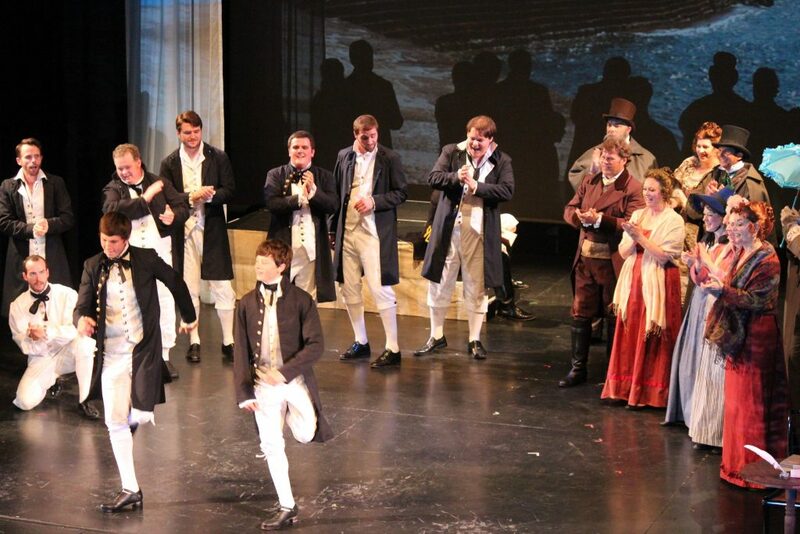 Disclaimer: I’m no theatre critic, I’m just a person who loves opera, Regency costuming, and Jane Austen who happened to enjoy this show a great deal, as Austen would say. 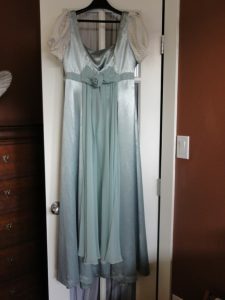 For those of you who have followed the Thrift Shop Regency Costume Experiment, I made a gown from a Value Village bed sheet at $7.99 and a ton of chenille and lace from Parasina in Mexico at about $5 and tried to match it to a Regency fashion plate for the Port Alberni Jane Austen Festival this year. What do you think? 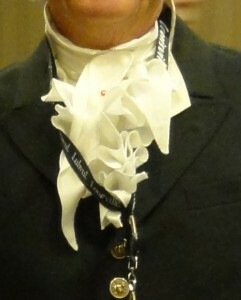 I wore Joe Fresh earrings at $3 and a Jane Austen topaz necklace that was a gift. I also had some ballet flats from Coppel in Mexico on sale at $49–yeah, expensive for me, but super comfortable for a whole day of activities, including the signing and selling of my Jane Austen Fan Fiction novels! As expected, A Most Handsome Gentleman was the most popular, given that many festival-goers had already bought and read the back-list. I got lots of encouraging comments from those fans! I hope organizer Trisha Knight and the Centennial Belles will continue this festival for a fourth year next year so we can beat our record of 349 people in Regency costume in one place. It sure was fun! 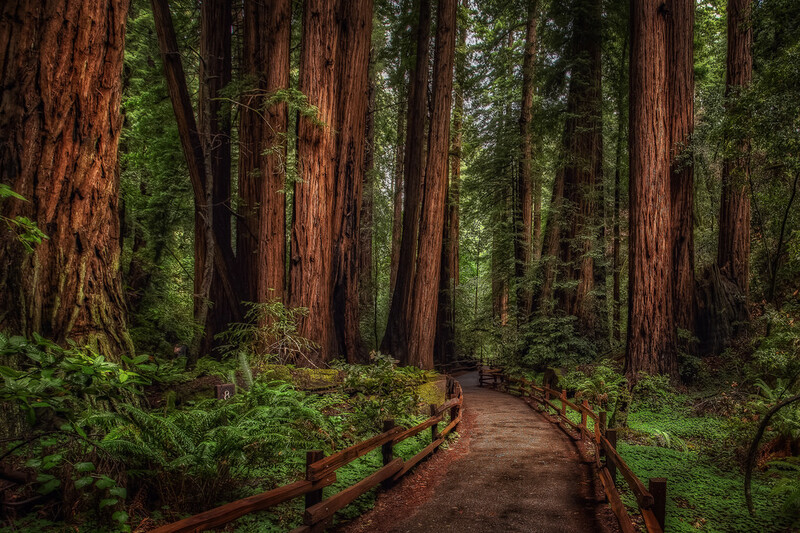 Think about adding this wonderful destination to you holiday plans for next year. 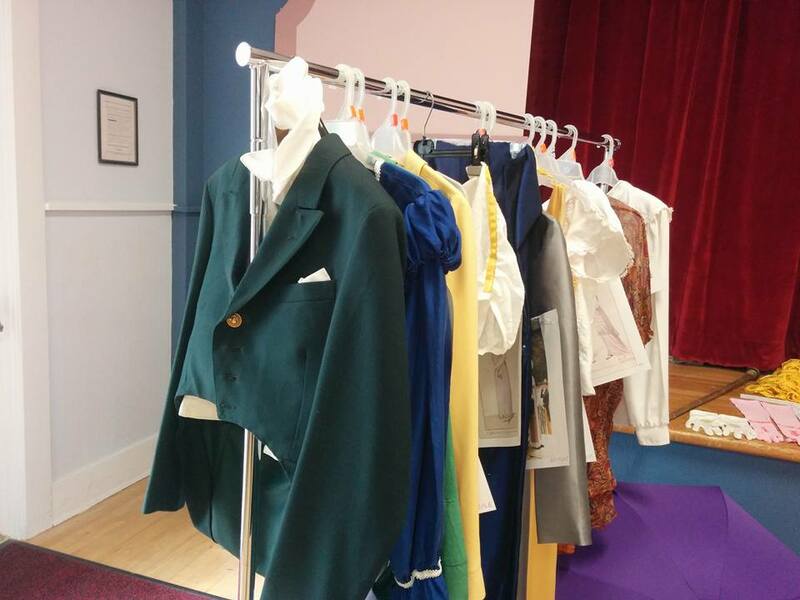 I can loan a few costumes! 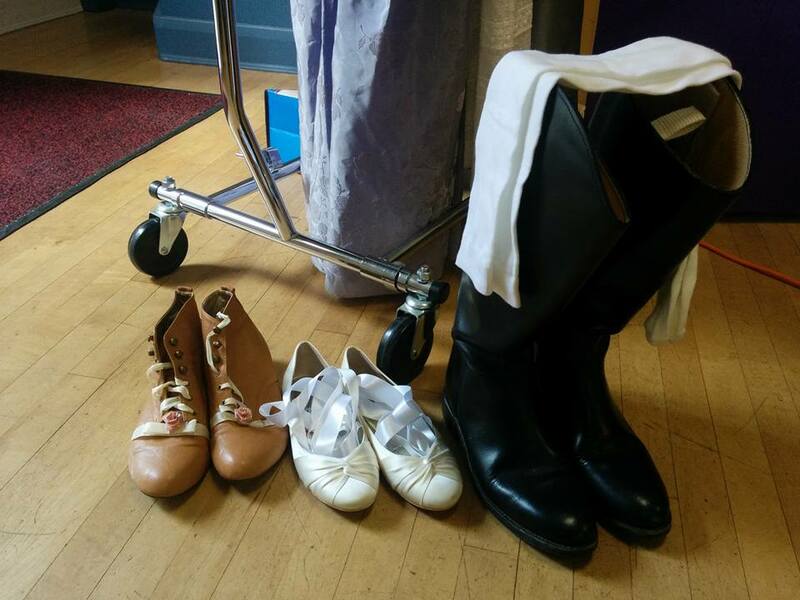 Perhaps Chamber Opera Tours will be back with another fantastic production! This is just a sampling of my stash. I really need to buy less and construct/sew more as the raw materials for Regency costumes are taking over my closet! 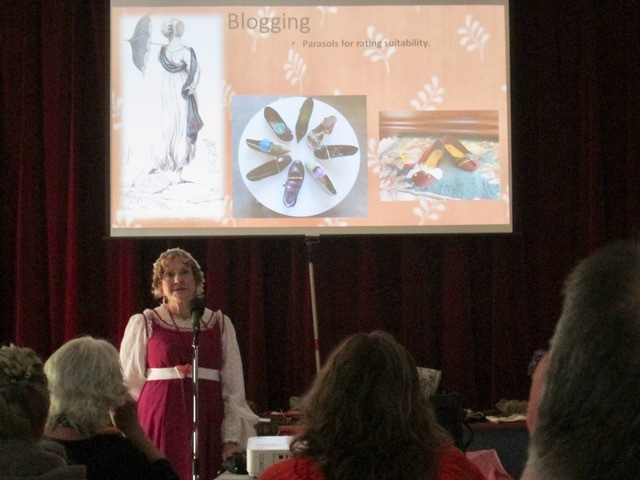 There was good interest in the program, and I did a pitch for the Jane Austen Festival in Port Alberni on July 14-16, 2017. 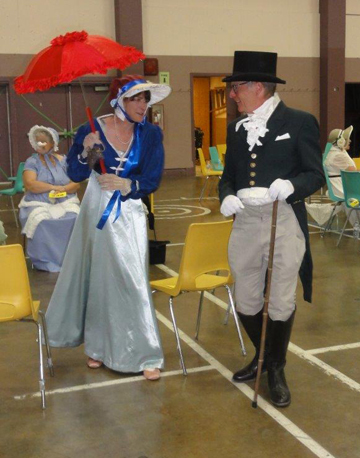 I’ll be there for the Guinness Book of Records count for most people in a room in Regency costuming on July 15 at 10am-noon. 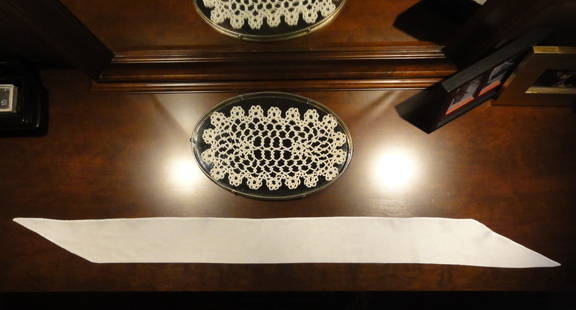 I also offered to email my drawings of patterns for a lace cap and my original cushion-cover reticules to interested members. 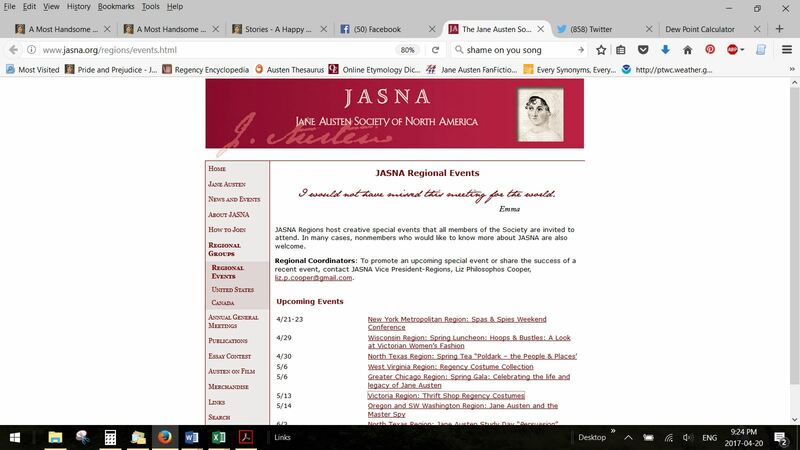 Thanks to Merle Brown and Alison Dacia Brown who shepherded me through my worries and needs for this event and helped make it a success, and to the members of Victoria JASNA for being so welcoming. Photo credit goes to Bruce, who also helped me with my technical issues for the projector, and Alison Dacia Brown. 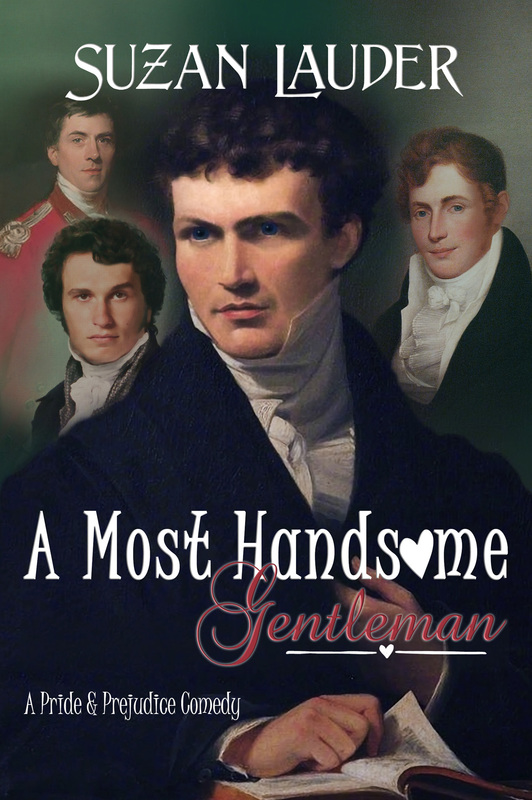 I’m currently editing A Most Handsome Gentleman, a P&P-inspired Regency comedy-romance novella that just finished posting at AHA, for a fall release. 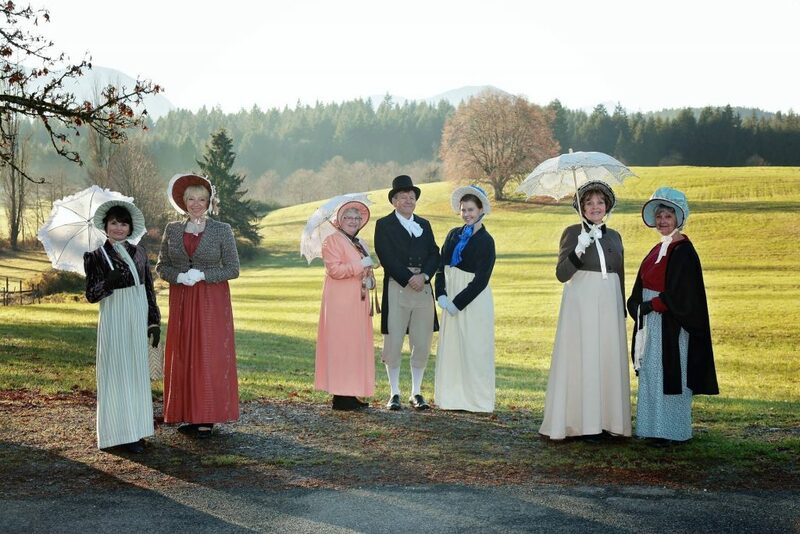 Port Alberni goes for the #Regency #Costuming World Record! Whenever I hear the name of the city of Port Alberni, I think of three things: the 1964 tsunami that tore through hundreds of homes in the community, huge water bombers for fighting forest fires, and the initials P.A., which make me think of Prince Albert, the husband of Queen Victoria. You have to be familiar with cities in Saskatchewan to make that last giant leap. 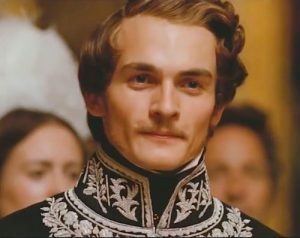 A further leap: the actor who portrayed Mr. Wickham in the 2005 Pride and Prejudice adaptation, Rupert Friend, also played Prince Albert in The Young Victoria. But back to Port Alberni: I now add a fourth–or first–thought of the city when I hear the city’s name: the Jane Austen Festival. 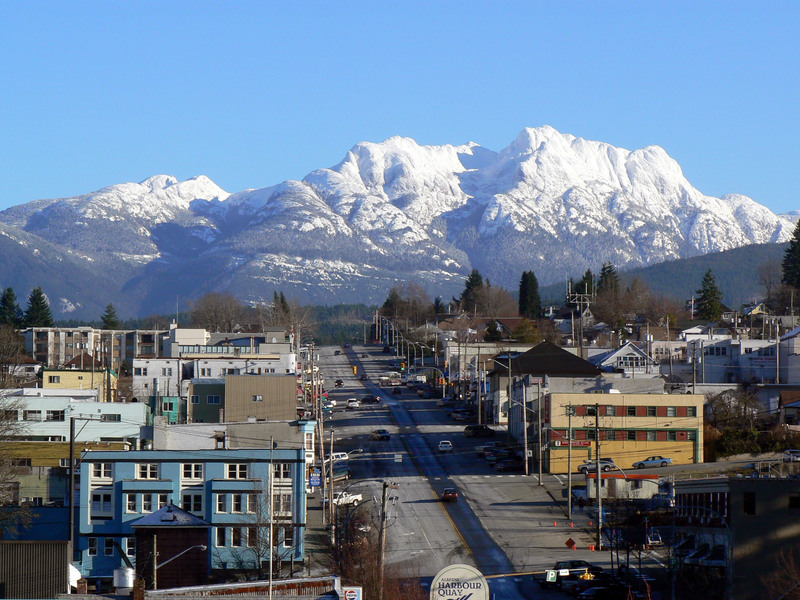 Port Alberni sits in the middle of Vancouver Island, which is just off the southwest coast of British Columbia, Canada. The island is about the size of Maryland or 1/4 the area of England. 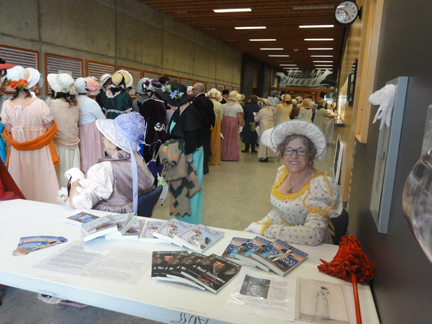 The Jane Austen Festival of Port Alberni started in 2015, with one day of events, including a tea. 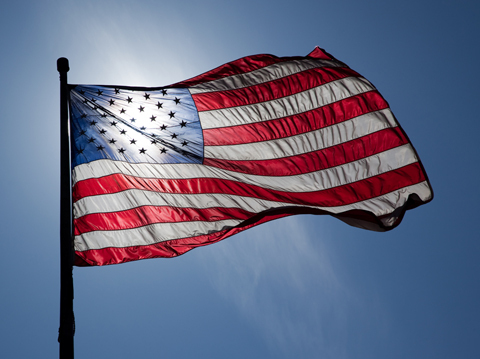 In 2016, it will be a much larger, two day celebration. 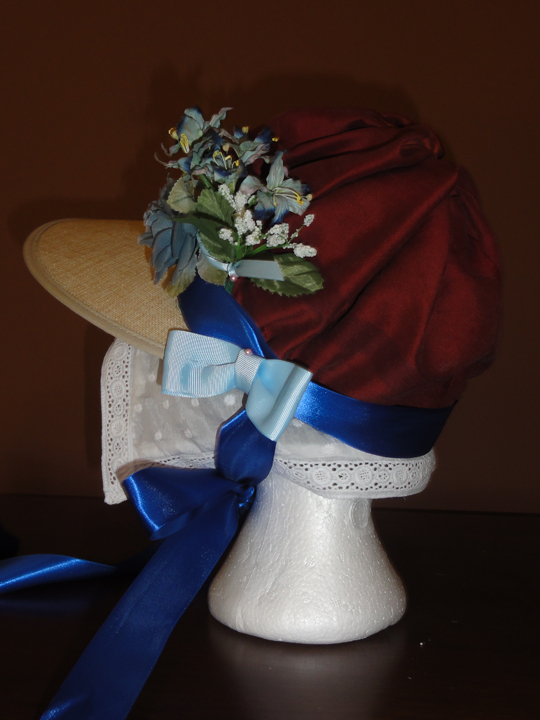 On Friday, July 8, a Regency style brunch will be held in the morning, a Regency style tea takes place that afternoon, and on Friday evening, participants get to meet me at the “Readings of Jane Austen’s Work” event! 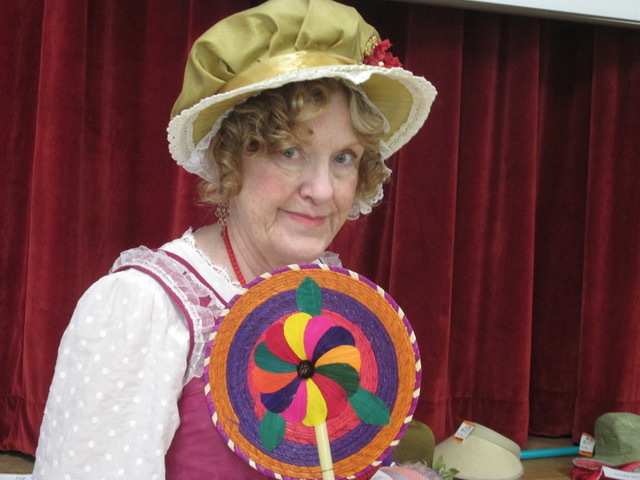 As a guest speaker, I’ll describe The World of Austen-inspired Fiction. 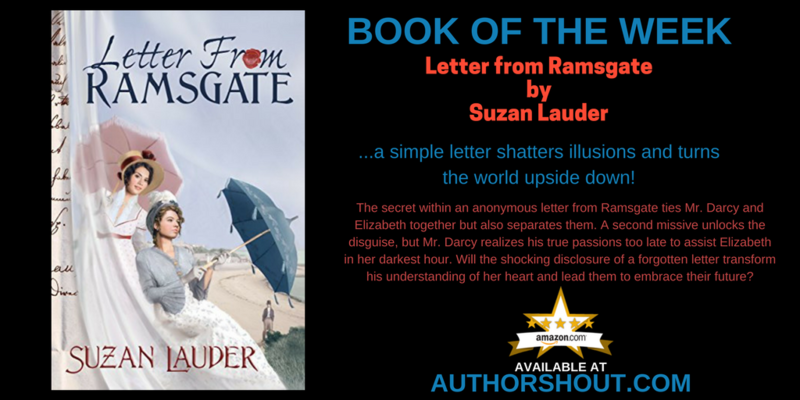 This will include a reading from Jane Austen’s Pride and Prejudice that inspired my latest novel, as well as a short scene from Letter from Ramsgate, which will be released by Meryton Press in October, 2016. You’ll also find me with other authors at the signing tables, where readers can either bring their own copy of my first novel, Alias Thomas Bennet, or the Meryton Press holiday romance anthology, Then Comes Winter, or purchase a copy from me for signing. 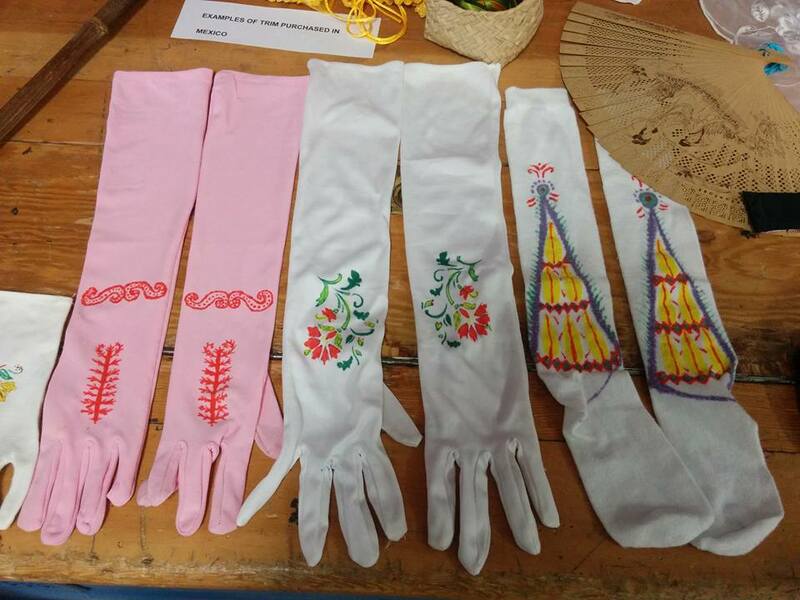 Either way, participants for the signing will get an Alias Thomas Bennet bookmark and a chance to enter a draw for a set of three gender-appropriate Regency costuming accessories courtesy of the Thrift Shop Regency Costume Experiment. 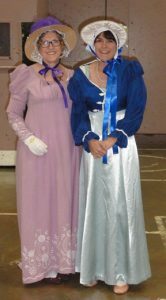 The main event is Saturday morning: the attempt to break the Guinness world record for “Largest Gathering of People dressed in Regency Costumes!” The original record of 409 people set in Bath, England in 2009 is the most recent listing on the Guinness World Records web site. Since then, Bath and Louisville, KY, USA have been battling for the title, and each time, one outdoes the other! 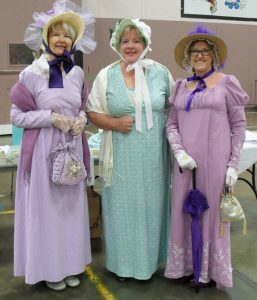 Louisville didn’t challenge the record in 2015 because they hosted the Jane Austen Society of North American Annual General Meeting instead. However, the 2015 Bath Festival had 550 participants including a number of Jane Austen Fan Fiction authors and bloggers. Registrations for the World Record Challenge event will be accepted until 10am on Saturday, July 9, 2016, and all participants must be in attendance by then. Participants must be dressed according to the Guinness guidelines. 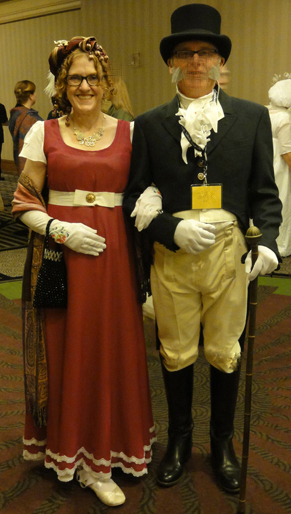 Of course, help to throw a quick costume together is in my blog posts for the lady’s Regency costume and the gentleman’s Regency costume. 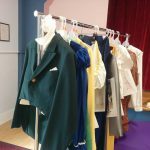 The Port Alberni organizers are the Centennial Belles Fashion Group, costumers who support local fundraisers with costuming from many eras. They’ve been hosting workshops and information sessions for nearly a year in preparation for this festival. They believe the majority of their participants will be from the local area. It will be interesting to find out how far people come to participate in the event. For me and Mr. Suze, it’s a two hour drive. On the way, there are some magnificent sights: Goldstream Provincial Park, where in the springtime, you can watch flocks of American eagles fishing for salmon as the fish make their way upstream to spawn; the magnificent views along the Malahat pass; the town of totems: Duncan, BC; the bustling city of Nanaimo where we’ll lunch with friends; the beaches of Parksville; Coombs and its funky reconstructed historical village of arts and crafts shops where the general store (gourmet store, really) has goats on the roof; and perhaps best of all, Cathedral Grove, an old growth cedar forest that will remind many of The Avenue of the Giants redwood forest in northern California. Slightly off the direct path are numerous wineries and farms in the Cowichan Valley; the little town of Cowichan Bay, its bay as pretty as a picture, and a bakery that features Bernard Callebaut chocolate chunk dinner rolls; Chemainus, known for its many large murals and summer theatre; Ladysmith, with eclectic shopping on its historic main street and some of the best cinnamon buns anywhere; and Qualicum Beach, with excellent restaurants and the original Quality Foods gourmet grocery. In addition, there are many types of outdoor adventures near Port Alberni. 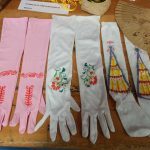 On Saturday evening at the Jane Austen Festival, there will be a Regency dinner and ball, and the tickets are a steal for this type of event! Tickets are selling fast for the brunch, tea, dinner and ball. The Readings of Jane Austen’s Work event entry is by donation. 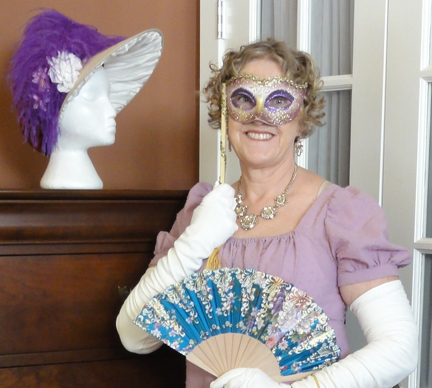 I procured a lovely purple pagoda umbrella, and I plan to add some tassels and lace to transform it into a Regency Parasol to flounce around with during the count for the record, as Vancouver Island tends to have dry, sunny summer days! Come, join me and Mr. Suze in Port Alberni, or at the very least, put this event on your calendar for next July! 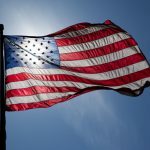 Happy Fourth to my American friends, or as we like to call it in Canada, the last day in the Canada Day extended holiday weekend! 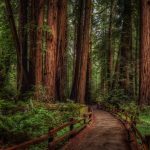 The promised posts on my learning experiences as a writer, with links to help those who want to become better self-editors, are delayed due to the pressures of editing my new novel. Sorry! Subscribe to my blog to get notifications so you know when they’re up! Author Catherine Curzon, otherwise known as Madame Gilflurt, who hosted a guest post by me in January, has a book out in the UK! Life in the Georgian Court will be an excellent resource for historical fiction authors, as well as a fun romp through history. It will be released in the US in September, 2016. She’ll be a guest on my blog around that time! Yes, our eyebrows are all raised at what kind of fun she’d going to bring! 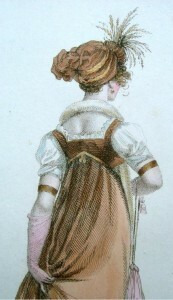 A road trip to Madame Gilflurt’s blog: My guest post on sneaky Regency hands. I clicked the wrong link. I intended to email the organizer of a Jane Austen ball to tell her about the Thrift Shop Regency Costume Experiment, but I accidentally clicked a link that led me to Madame Gilflurt. Of course! I love to hear myself talk, and a busy blog sounded fun. 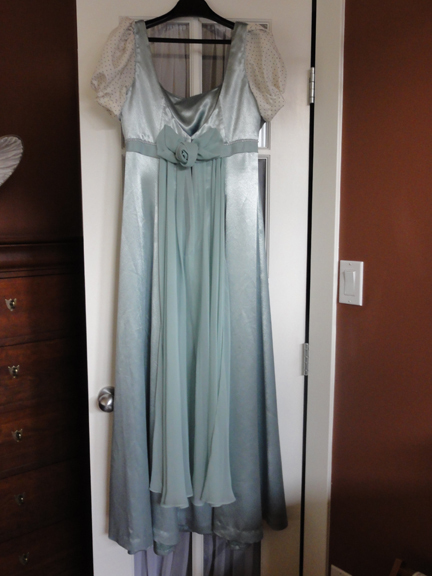 I had an idea for a blog post that came up during my research on Regency gowns, and offered to post it on her blog. She loved the idea. It took a while for me to write the actual text of the post, and by then, Madame Giflurt was in the middle of her own series. 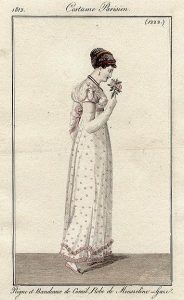 Today, the post is up: The Itch Exposed: A Special Report for the Admirers of Regency and Georgian Fashion. It’s a tongue-in-cheek look at an accidental observation I made while perusing hundreds of Regency gowns in museum pieces, historical paintings, and fashion magazine drawings—the position of some ladies’ hands in drawings from Costume Parisien and other art during the early 1800s. You can read the post at A Covent Garden Gilfllurt’s Guide to Life: Glorious Georgian dispatches from the long 18th century…, Madame Gilflurt’s blog. 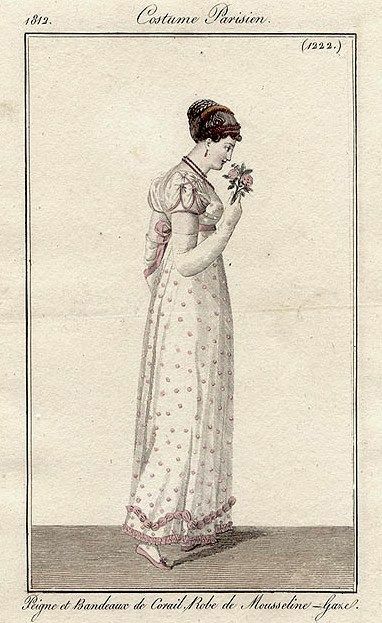 La Miroir de la Mode gown from 1803, the inspiration drawing for Suzan Lauder’s January 20, 2016 guest post on “A Covent Garden Gilflurt’s Guide to Life” blog. 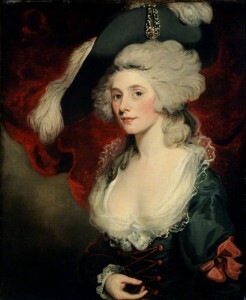 Madame Gilflurt, also known as Catherine Curzon, blogs about the fascinating personalities of history, focused on the 18th Century and Regency periods. 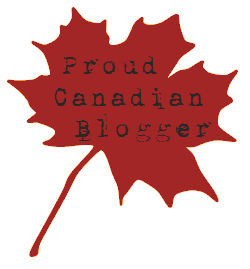 Her lively blog includes a number of interesting guest writers each year. 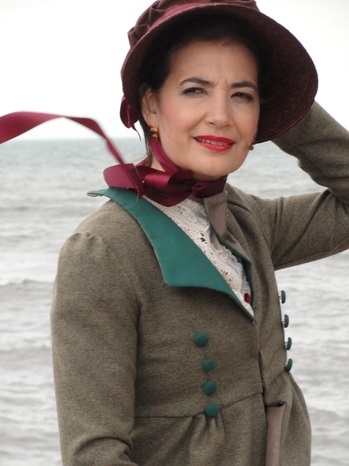 She is also the online host for An Evening with Jane Austen, and may just get to see Adrian Lukis’s (Mr. Wickham from the BBC/A&E 1995 production of Pride and Prejudice) phone number come up on her call display from time-to-time. Madame Gilflurt will join road trips with the redhead for a guest post celebrating the release of her non-fiction book Life in the Georgian Court, which is being published by Pen and Sword books in June 2016. 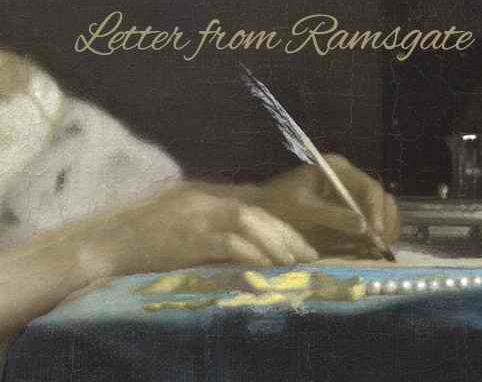 A reminder to catch up on chapters of Letter from Ramsgate, now posting at A Happy Assembly! We’re past the bad angst and moving towards mush. The comments thread is as much fun as the story! 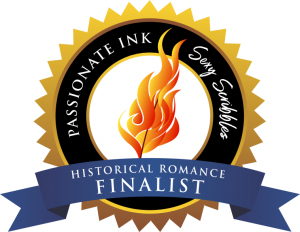 As can be seen on the sidebar of this blog, Then Comes Winter has been selected as a favourite on three top JAFF book blogs! YAY! Please comment on this blog (below) at any time, or for today’s guest post, on Madame Gilflurt’s blog!